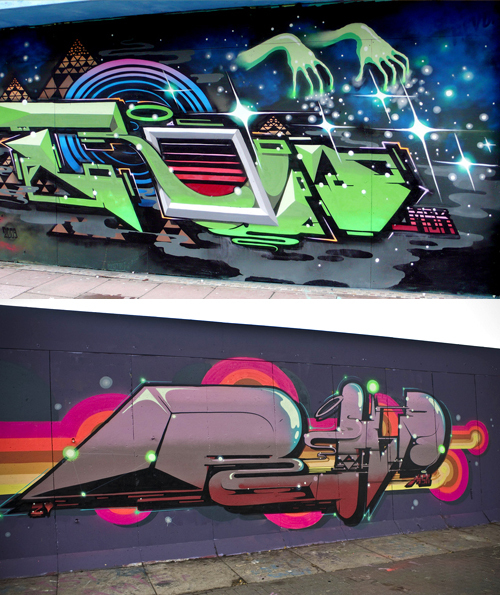 ROID is a talented graffiti writer from UK [Bristol] who is definetly inspired by the Sci-fi aesthetics and who likes the post future music. 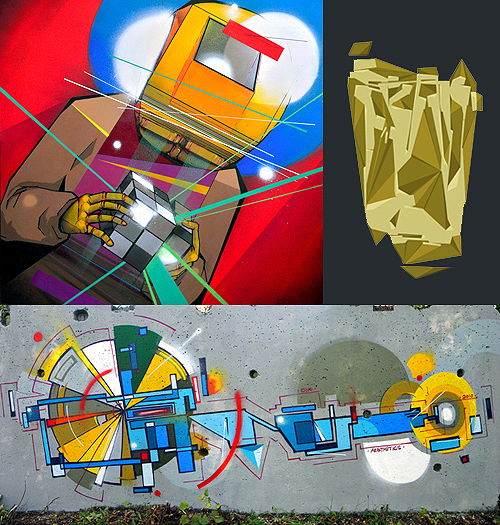 ROID is come with a new aproach in the graffiti game mixing a cosmic environment, some retro graphic designs and simple letters (like those one on the trains). 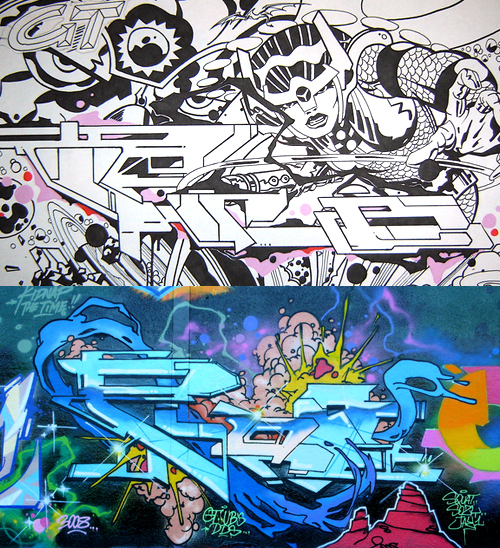 All that are highlighted by a smart using of the fluo colors. 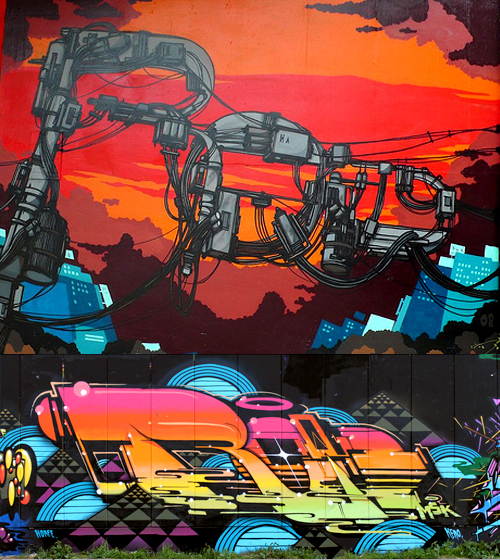 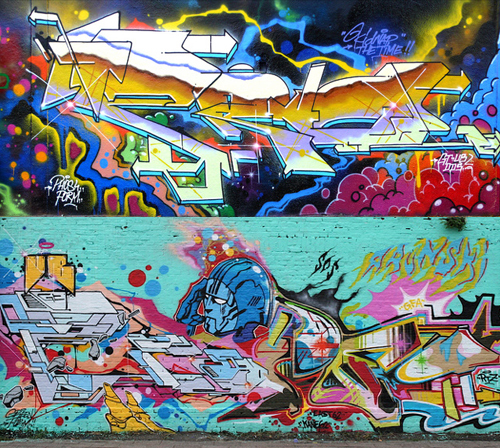 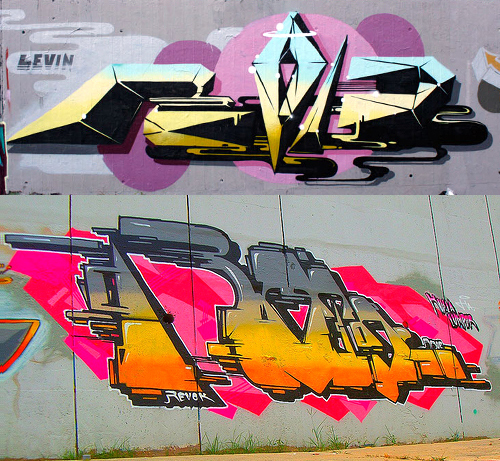 In fact, It’s a Back to the future graffiti like FUTURA 2000 had intoduced in its time. 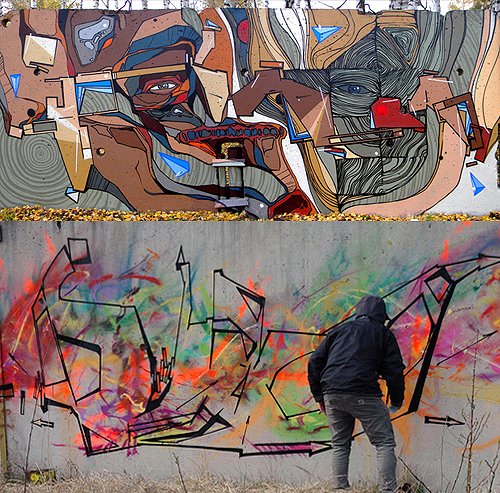 Currently, many graffiti activists copy his style but they don’t know which deep alternative cultures are hidden behind his production. 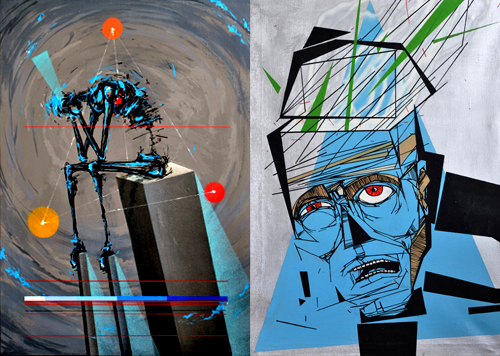 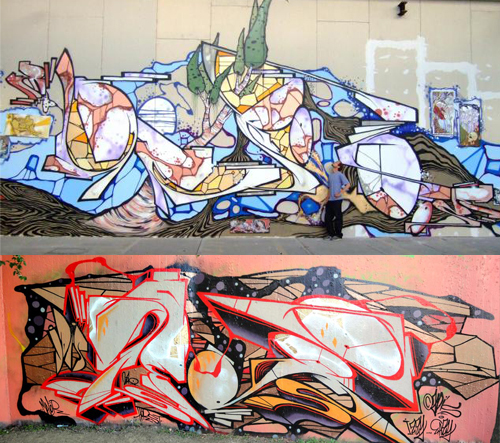 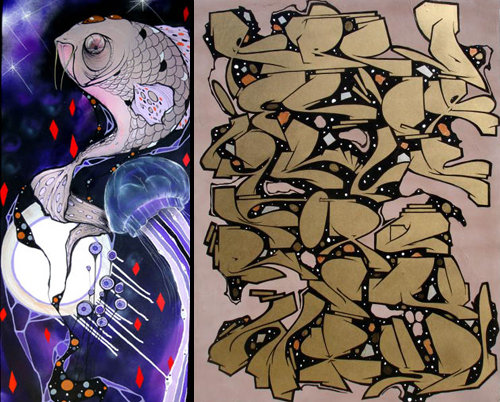 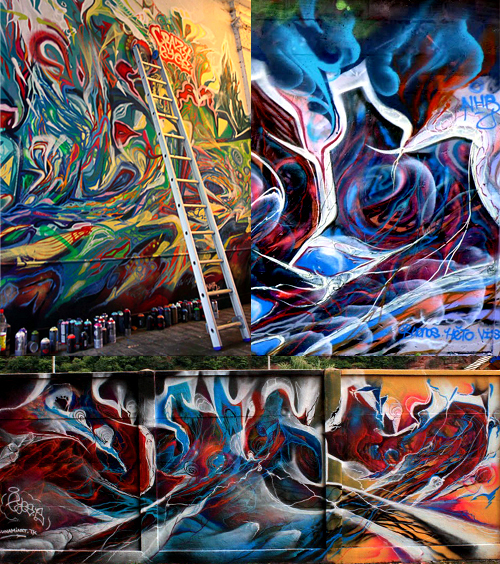 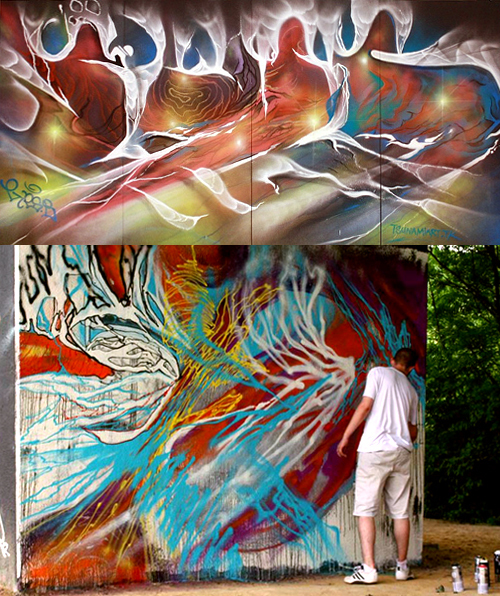 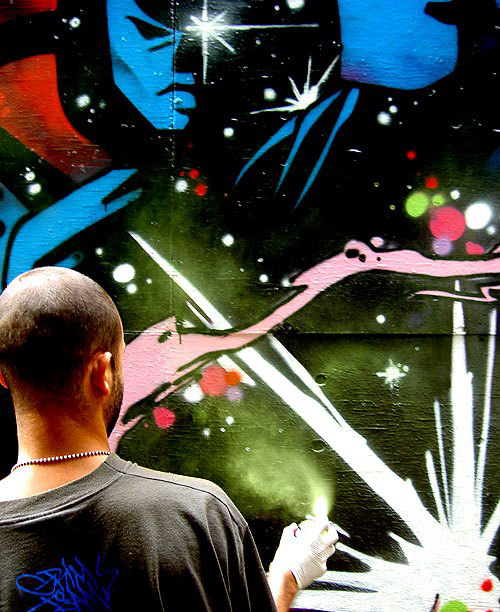 JEROO is a graffiti artist based in Germany [BERLIN]. 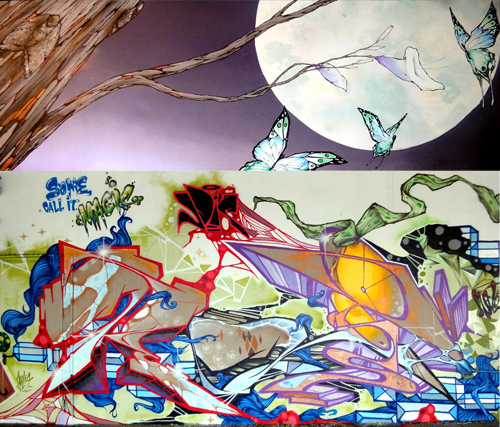 He designs fantastic environment inspired by the nature & galaxy with a psychotetic touch asthe L.S.D effects. 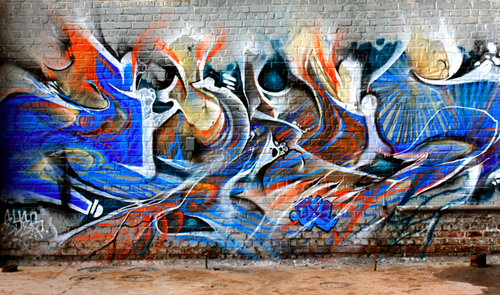 His crooked letters look like the floors or the mushrooms but he keeps a purist approach of graffiti writing.